What is an Award vs. Reward? This entry was posted on November 26, 2014 by Jessica Anderson. This week, I noticed a post on our industry forum about awards vs. rewards. Really, what is the difference? When do you use one vs. the other? I thought this was an interesting topic to explore. What is your favorite reward? How about your staff or team members? - A prize or other mark of recognition given in honor of an achievement. "The company's annual award for high-quality service"
- An amount of money paid to someone as an official payment, compensation, or grant. "A generous award given to promising young dancers"
- The action of giving a payment, compensation, or prize. "The award of an honorary doctorate"
- Give or order the giving of (something) as an official payment, compensation, or prize to (someone). "He was awarded the Purple Heart"
- Grant or assign (a contract or commission) to (a person or organization). - A thing given in recognition of one's service, effort, or achievement. "The holiday was a reward for 40 years' service with the company"
- Make a gift of something to (someone) in recognition of their services, efforts, or achievements. "The engineer who supervised the work was rewarded with a bonus"
After reading the definitions they really sound like the same thing. Synonyms. Yet our entire industry is based on the word "Award" and what it represents. What is the difference between Award and Reward? 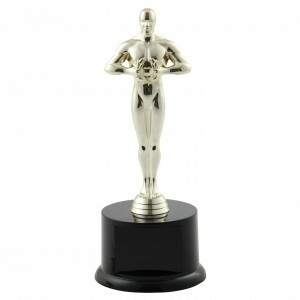 One of our most popular trophies, perfect for an Oscar Party! I think the distinction in our industry is that awards are a TYPE of reward. For me, anything can be a reward. A car, a t-shirt, money. In the business world, many companies offer incentive programs with rewards where employees can choose items for accomplishing a particular milestone or task. These rewards are often name-brand merchandise or experiences that can be ordered from a catalog. However, awards are a different story. They are a piece of hardware with a personalized name and/or message that signifies excellence in a particular field. They are a kind of certificate of achievement that can be displayed for reaching or exceeding a goal; a symbol of success. Awards are a more specific subset of rewards that can be categorized by type and application. At Trophies2Go, our business is 50/50 corporate awards to sports and activity awards. Below are our most popular options for each. For Business: Engraved plaques are probably the most common type of corporate award we sell, followed by acrylic awards and crystal awards. Engraved gifts, such as clocks and art glass, can also be functional personalized awards. Some trophies are also awarded as corporate awards. For Sports & Activities: Sports trophies are the pinnacle of athletic success. They are an iconic representation of winning. Trophies can be tall, short, big, small, but all feature main components - a figure, an optional riser or column, and a base. They can made of any kind of material - metal, wood, marble, plastic, resin - although the most common is plastic and resin. If your organization decides to recognize achievement either through awards or rewards, it's important to define the process and get buy in from all levels of the organization. 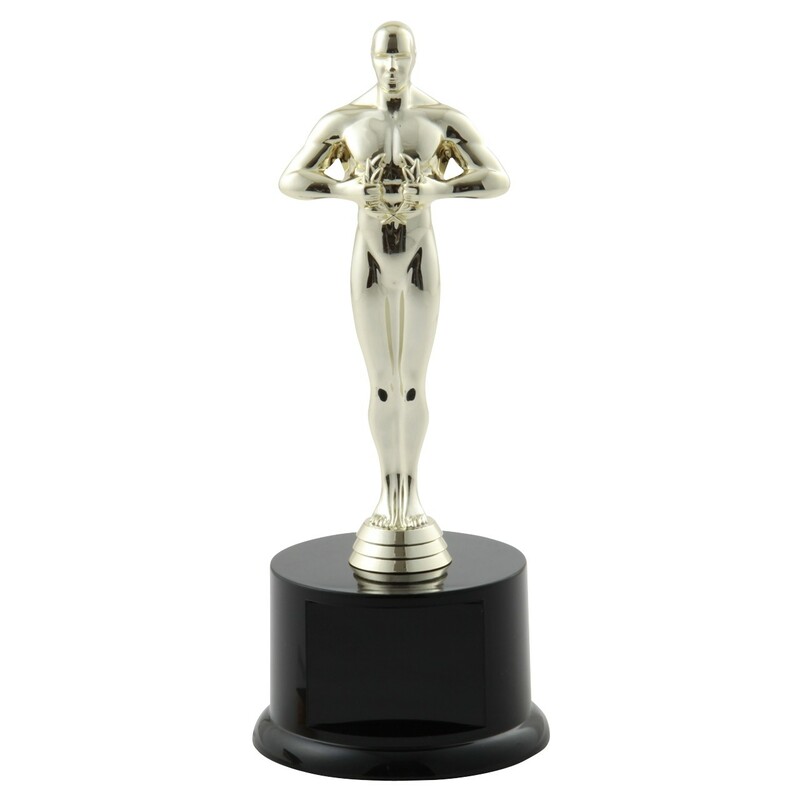 For more about starting an awards program, read my past blog, Recognition Awards - Informal Vs. Formal, 4 Steps for Creating a Service Awards Program, or Motivate Your Staff with Sales Achievement Awards. We are here to help you with your process, to make the award creating portion as easy and hassle free as possible!